Two quickfire Spurs first-half goals looked to have done the damage, with Erik Lamela slotting beyond Rui Patricio (27) and Lucas Moura left unmarked to head in a second three minutes later, although Raul Jimenez's strike shortly after should have cut the deficit but was wrongly chalked off for offside. Kane avoided setting his longest run without a league goal in more than three years by netting at the second attempt on the hour to seemingly put the game to bed, but Wolves struck back instantly with Ruben Neves' penalty, before Jimenez added another from the spot with 11 minutes to go to set up a tense finish. But Hugo Lloris was untested in the final moments of the game as Spurs claimed a much-needed victory and remain a point above their tally at this stage last season, with 24 from 11 games. 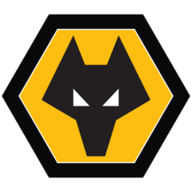 Wolves: Patricio (7), Bennett (6), Coady (6), Boly (7), Doherty (6), Neves (7), Moutinho (7), Jonny (6), Cavaleiro (5), Jimenez (7), Costa (7). Subs: Gibbs-White (7), Bonatini (6), Traore (5). Tottenham: Lloris (7), Trippier (5), Alderweireld (5), Foyth (5), Davies (6), Sissoko (6), Dembele (N/A), Winks (6), Moura (7), Kane (7), Lamela (8). Subs: Son (6), Eriksen (6), Sanchez (5). 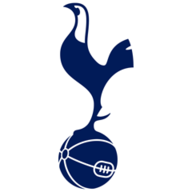 The game's slow early rhythm was not helped by a long enforced stoppage when Mousa Dembele was forced off with injury, and the only save either keeper made in the opening 25 minutes came when Patricio kept out Kane's effort from the edge of the box. But their next attack would prove more clinical, and was started and finished by Lamela, who drifted off the right before exchanging passes with Heung-Min Son and firing through Patricio's legs. Wolves were clearly still reeling after conceding the opener, having dealt with Tottenham well until that point, but allowed them to grab a quick second when Kieran Trippier was given space to cross for an unmarked 5ft 8in Moura to nod in at the far post, with the hosts' considerably larger three defenders all letting him go. Before the break, they collectively made up for that error as Jimenez swept home Moutinho's pull-back - but the Portuguese midfielder was wrongly pulled up as offside by the near assistant referee, despite being half a yard behind Toby Alderweireld. Wolves made a change for the second game in a row, having stuck with the same team for their first nine league games. Ivan Cavaleiro was preferred to Adama Traore. Tottenham made two changes from their last league game, with Harry Winks in for Eric Dier and Juan Foyth handed a league debut and Davinson Sanchez on the bench. Wolves grew their momentum after the break and tested Lloris with strikes from Jimenez and Neves, but Spurs showed their clinical touch again to secure a three-goal lead when Kane fired past Patricio from the angle after the goalkeeper had kept out his initial effort. And that goal would end up proving crucial, after Wolves mounted a fightback which began when Foyth clattered into Jimenez inside the box after Trippier had been caught out trying to nutmeg Leo Bonatini. Neves stepped up from the spot to pull a goal back, and Wolves were soon given another penalty when Foyth was again penalised for hauling down Jonny. There was no chance for Neves to double his tally for the night this time, and Jimenez instead stepped up and fired into the opposite corner. At 2-0 down, a Wolves comeback goal could have made all the difference at Molineux in front of a crowd who were still well behind their team. Joao Moutinho was wrongly judged to be offside when setting up Raul Jimenez for a chance he put beyond Hugo Lloris - and the goal would have stood were VAR available. Who knows how the game would have ended then? But with 11 minutes to find an unlikely equaliser, Wolves never really tested Lloris after Mauricio Pochettino brought on a third central defender in Davinson Sanchez, and the hosts were condemned to their third straight league defeat. Lamela was a thorn in the Wolves defence for much of the game. There were no faultless performances at Molineux but the Argentine looked full of the kind of confidence you get from four goals in seven games from midfield. He was a threat throughout, and his movement helped him to forge a fine chance to grab a second for himself, though his touch let him down in the end. Tottenham have won 24 points from their 11 Premier League games this season, only in 2011-12 (25) have they picked up more at this stage of a single campaign in the competition. Wolves have won none of their last 25 Premier League matches against sides starting the day in the top half of the table (D10 L15). Spurs have only lost two of their last 17 away games in the Premier League (W12 D3), winning each of the last four in a row. Tottenham are unbeaten in their last 39 Premier League games against promoted sides (W36 D3). Spurs' Erik Lamela has had a hand in 11 goals in his last 12 appearances in all competitions (8 goals, 3 assists). Tottenham's Harry Kane has scored 27 goals in his last 27 away Premier League games. Tottenham's Harry Kane has scored against 27 of the 28 teams that he's faced in the Premier League, with the only exception being Cardiff City (3 apps). Wolves midfielder Ruben Neves' penalty goal was his first league goal scored inside the box in English football, with his previous seven coming outside the box. 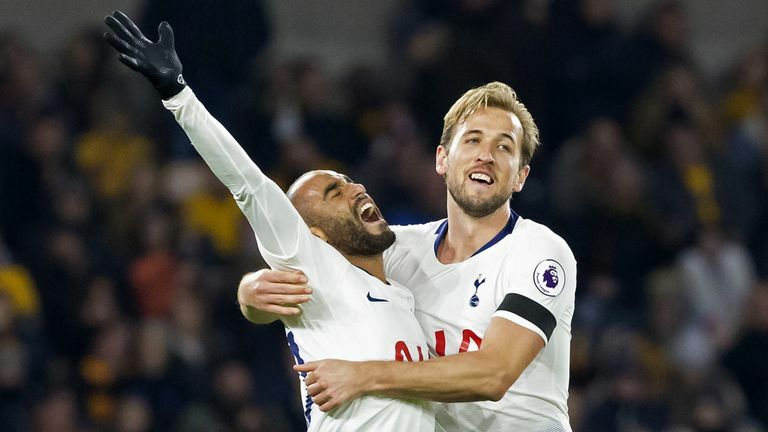 Tottenham need to beat PSV on Tuesday night at 8pm to keep their Champions League qualification hopes alive, while Wolves travel to Arsenal at 4.30pm on Sunday, live on Sky Sports Premier League.